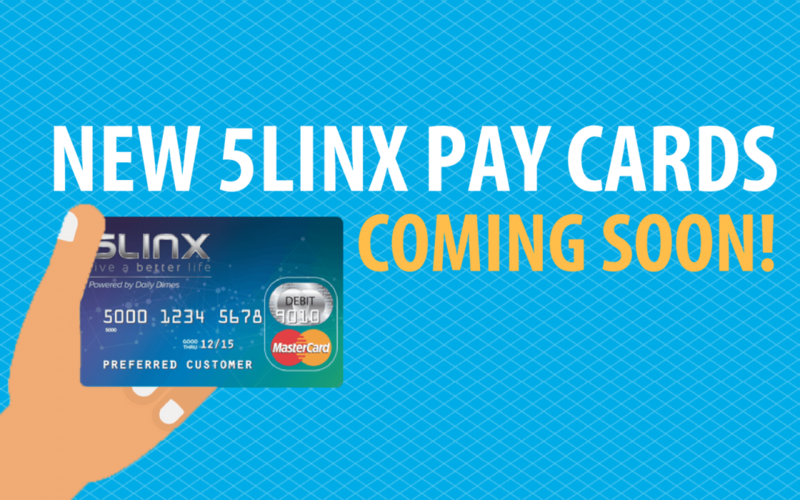 In case you haven’t heard yet, we are in the process of issuing new 5LINX Pay Cards, and we wanted to tell you about the added bonuses that your new card holds! Your new Pay Card will be a MasterCard, and will therefore be accepted anywhere that accepts MasterCards. What’s even better? These new cards will automatically enroll you in an awesome rewards program called Daily Dimes. Daily Dimes is a rewards program where you can earn points and use them for cash back, eGift Cards or other great services that Daily Dimes offers – such as Clip & Ship Coupons. You earn points towards free gift cards with every deposit made into your account AND every purchase you make—even on 5LINX services such as PDN! This program works similar to a miles program through major airlines – the difference is, we reward YOU when we add money onto your card! What are some key features of Daily Dimes? Daily Dimes offers many great features including Clip & Ship Coupons. It’s easy to use…simply select the manufacturer’s coupon’s you want, and they are shipped right to the Daily Dimes card holder! As a Daily Dimes member, you’ll also be eligible for their weekly sweepstakes to win gift cards from your favorite retailers. Remember… in order to receive the benefits of these new Pay Cards, you must log in to your Virtual Office.